Fundraising for the 19th annual Evan’s Run is in full swing! One of our most important fundraising components is Evan’s Team: a group of dedicated individuals who go above and beyond by fundraising from friends, family and colleagues. The funds raised each year are used to contribute to programs and scholarships involving children with autism. You can be assured that any donation you make will brighten the life of an autistic child. 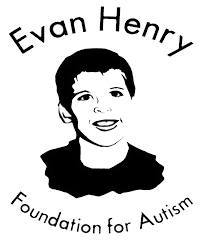 Since inception, the Evan Henry Foundation has given out over $450,000 in grants. In 2019, we are changing our program slightly for those willing to go the extra mile and fundraise! If you have helped in the past, your contributions have been greatly appreciated, and we hope to have your support again this year. If you have not been able to help in the past, we hope you will decide to support this great cause!